Nicole Esposito, flute professor at The University of Iowa, has recently released an album featuring works by Latin American composers. 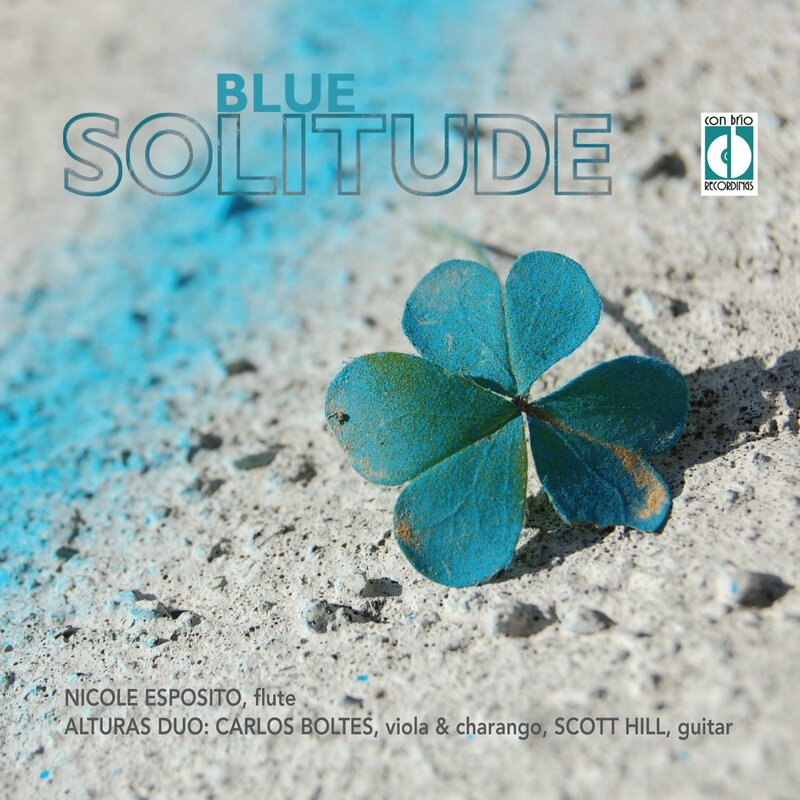 She is joined on the album by Carlos Boltes (viola and charango) and Scott Hill (guitar), who together form the Alturas Duo. This collection includes both art music as well as folk songs arranged for this ensemble. Esposito’s beautiful, lush sound blends quite well with the stringed instruments with which she is playing, especially in the flute’s lower register. The first work on this album is by the Cuban composer Leo Brouwer. The very opening of the first movement is arresting and draws the listener in. This same three-note gesture is repeated throughout the movement. The second and third movements are also virtuosic and demand technical control from all of the players. The two tracks by Raimundo Penaforte are taken from a larger work, Three Pieces for Flute, Viola and Guitar. The sorrowful Elegia was originally written for trumpet and piano and is almost song-like in its construction, with the flute taking what would be the vocal part. Interlúdio features more interplay between the flute and viola. Alfonsina y el mar is a popular folk song and is a pleasure to listen to. Diosllai Runa has quite a different sound, as it is from the Peruvian villancico tradition. Again, Esposito’s low register is full and haunting, an appropriate sound for this intimate song. Sipassy is a work that was composed by the Chilean folk ensemble Illapu. While originally written for quena, the Andean notched wooden flute, it has been arranged for Western concert flute by the Alturas Duo. Expressive pitch bends and an approximation of the wooden flute sound are striking. As notes ascend and there is a general increase in volume, some intense moments are created. Assad’s Winter Impressions represents the composer’s impressions of a cold winter’s day. The first movement, The Frozen Garden, suggests swirling snow with a fast-moving rhythmic section. A contrasting middle section hints at a calm period in the storm before returning to a more intense ending, including the use of tongue pizzicato for a percussive effect. The second movement, Blue Solitude, lends its name to this album. It is a lyrical contrast to the first movement. Fire Place, the last movement of this work, is aggressively rhythmic and provides a satisfying finish to this energetic album. Review originally published in The Flute View magazine. Subscribe here!